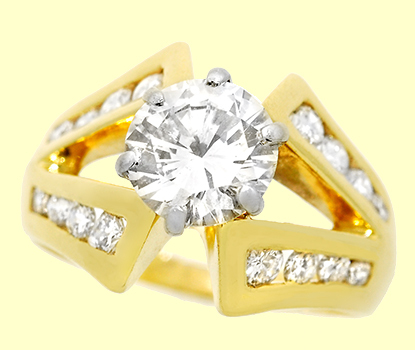 Lady's 14K Yellow Gold 2.00 Carat Round Diamond Engagement Ring. 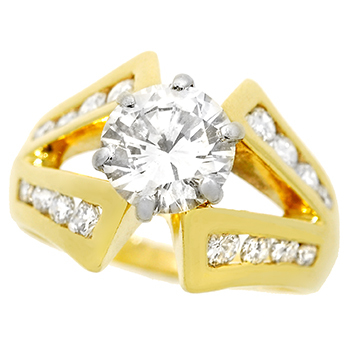 One Natural Round Brilliant Cut Diamond. 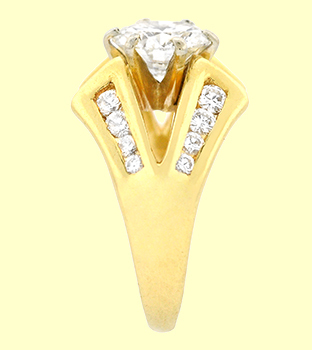 Weight Approx: 2.00ct, Color: H-I, Clarity: VS1/VS2. 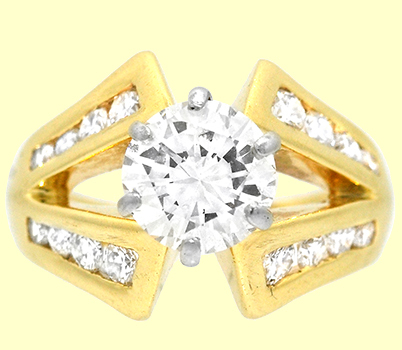 Sixteen Natural Round Brilliant Cut Diamond. 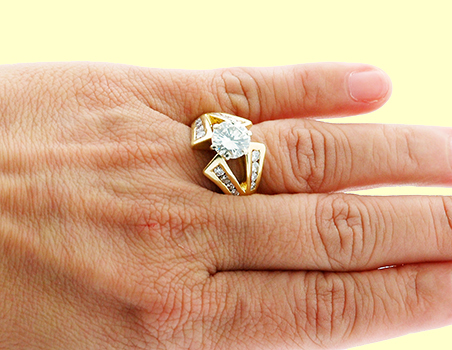 Weight Approx: 0.80cttw, Color: Near Colorless, Clarity: Eye Clean. 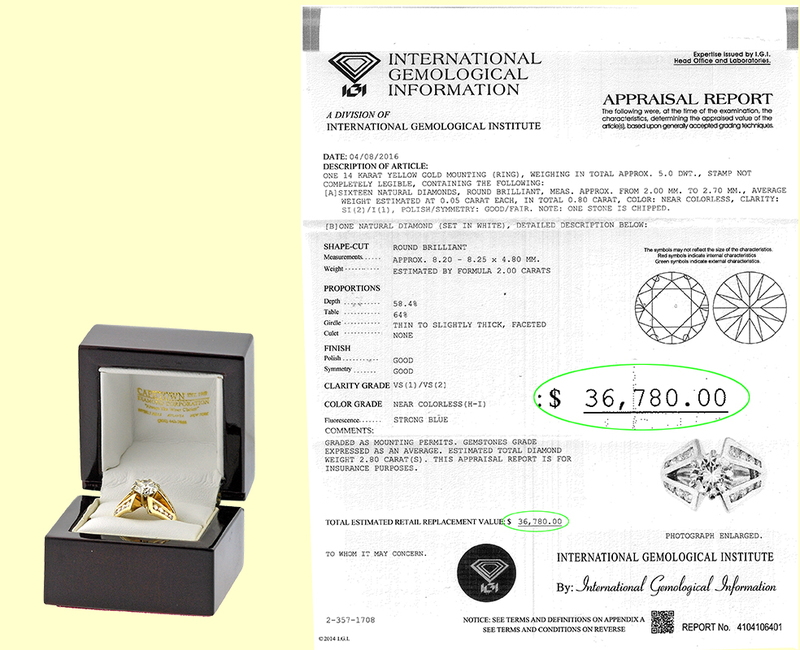 Complete with Complimentary Hand-Rubbed Rosewood Presentation Box & IGI Appraisal No. 4104106401.